Hello, everyone! 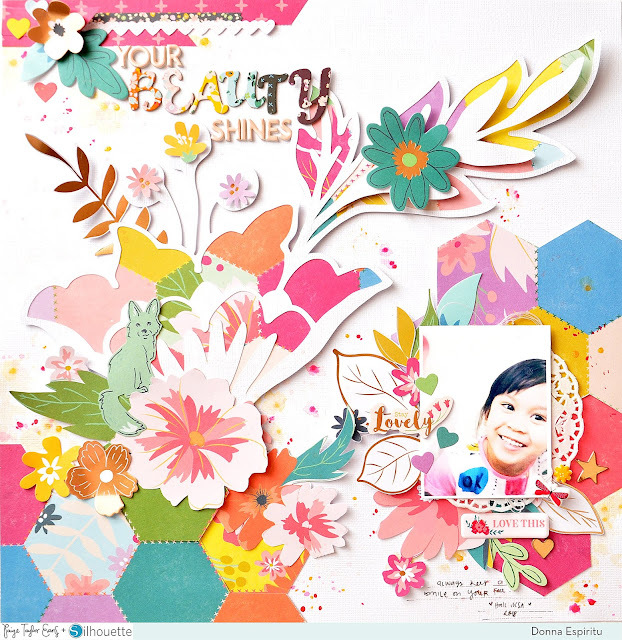 Donna here with a new scrapbook layout using one of Paige's Flower cut files and the Whimsical collection. 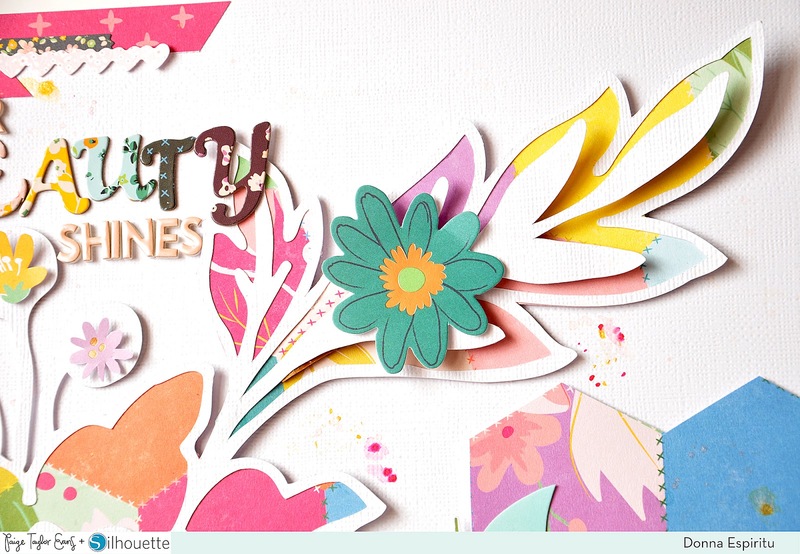 I started with a white cardstock splattered with some pink and yellow spray mists. And believe it or not, I basically used only a couple of patterned papers in this layout, mostly Paper 05! I used a thick foam tape to mount the cut file onto the background. If you'll notice, the leaf part of the flower was also mounted with foam tape so it has a bit of height/dimension. 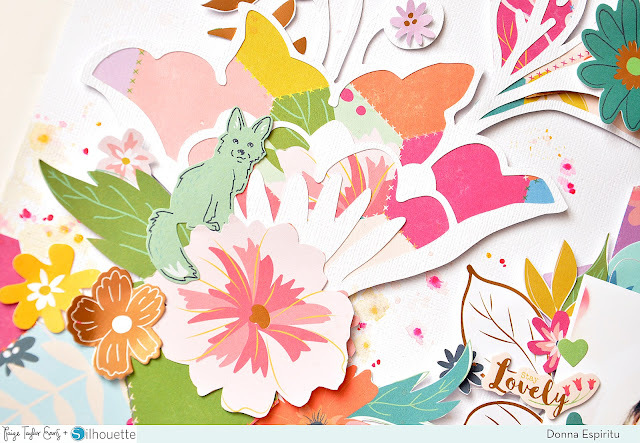 Then I covered the bottom part of the cut file with the same patterned paper I backed it with. I cut some of the hexagon shapes and mounted them with foam tape. 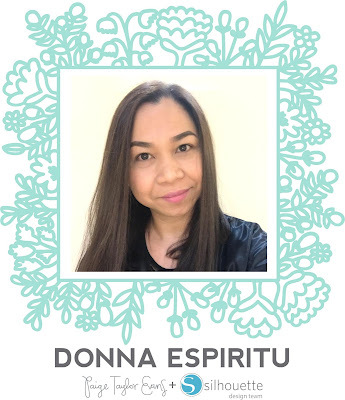 I placed my photo with a doily and some messy threads to the right side of the layout. The whole Whimsical collection made it so easy to complete and embellish the layout! I hope you liked my layout and it inspired you to create something today! Thanks for dropping by and happy crafting! This is stunning! LOVING the bright, bold colors!!!! !